Meath County Council has confirmed it received planning inquiries about the opening of a controversial facility connected to the Church of Scientology. 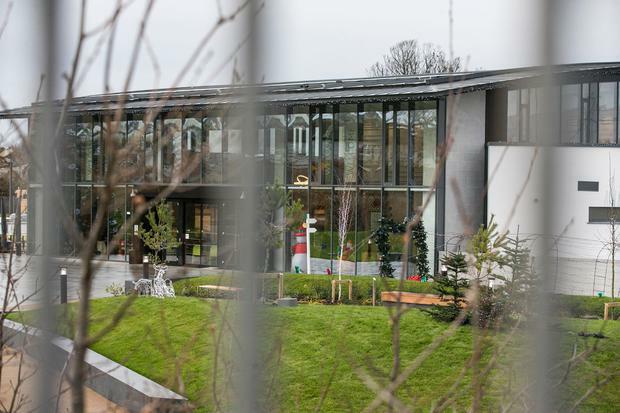 The local authority today, in an email to Fine Gael councillor Noel French, said Narconon, the Church of Scientology linked drug rehab organisation, made inquiries about the planning requirements for a drug rehab centre at the former national school in Ballivor. The council previously stated it had received no such inquiries. Narconon, officially an international not-for-profit drug rehab organisation, is widely accepted as being funded and operated by Scientologists. Cllr French said: "I am bucking mad!! No chance to challenge change of use at County Council level. "I will be asking Meath County Council to ensure that this does not happen again. All planning material relating to a site should be put online not just some of it. I am really annoyed by this revelation." Ballivor residents are due to hold a protest at 1.30pm on Wednesday against the opening of the development. Peadar Toibin, the local Sinn Fein TD, is still waiting to hear from the Department of Health as to whether Narconon would need a licence here. In the email, a spokesperson for Meath County Council said: "We had previously confirmed that there had been no recent requests for pre-planning meetings and no recent contacts relating to the development and that remains the position. "We have now carried further searches to establish if there had been any applications or contacts in previous years by The Church of Scientology or Narconon. "The Council can now confirm that in August 2016 we were requested by the Narconon Trust c/o McGill Planning, 7 Fitzwilliam Street Upper, Dublin 2, to make a declaration in accordance with Part V of the Planning & Development Acts as to whether or not a change of use from a nursing home to a residential drug rehabilitation facility was an exempted development. "The Council issued a declaration on 2nd October 2016 that the change of use as outlined in their submission was exempted development (and therefore would not require planning permission)." Narconon and the Church of Scientology have not responded to media queries on the matter.